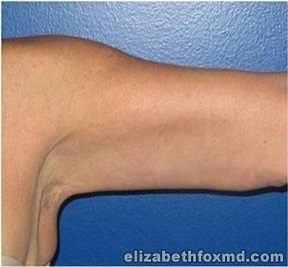 Description: This wonderful woman from Cape Coral, Fl had always felt uncomfortable with the appearance of her arms. They did not match her lovely youthful personality. 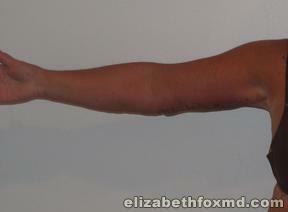 Dr.Fox performed a standard arm lift (brachioplasty) to help remove excess fatty tissue and skin. 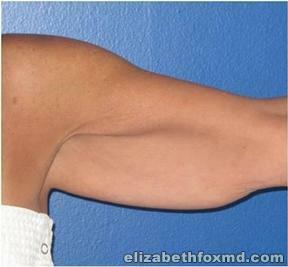 Her results were a youthful, more contoured look. 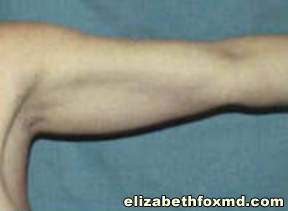 Contact Dr. Elizabeth Fox for more information on arm lift surgery and arm lift surgery cost.